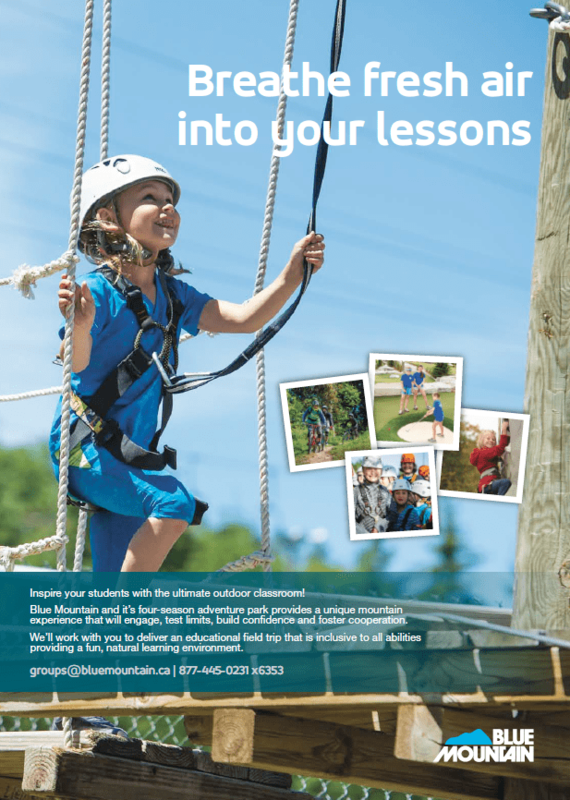 Inspire your students with the ultimate outdoor classroom at Blue Mountain! • Outdoor recreation for all grades, capabilities and needs on 300 acres of the Niagara Escarpment. • 90 minutes north of the GTA and an approved supplier to most of the area school boards. We look forward to planning a fun rewarding itinerary for you and your students.